After the rapid technology development in recent years, Ma Yun has finally proposed a new retail concept. 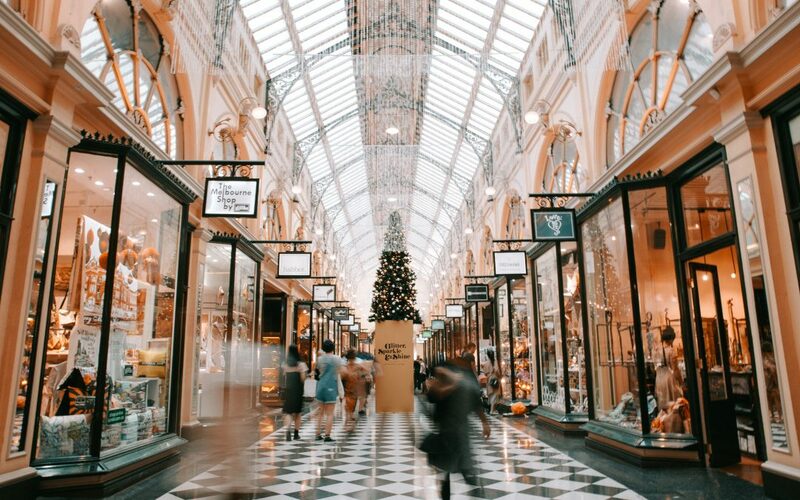 Since then, the new retail wind has blown through every corner, and new retail species characterized by unmanned, shared, instant, and intelligent are everywhere, online and offline unbounded. In addition, virtual and the reality blends, and the world is being refactored. Behind this is the transformation of data to the people’s yard, which is the subversion of technology to business. 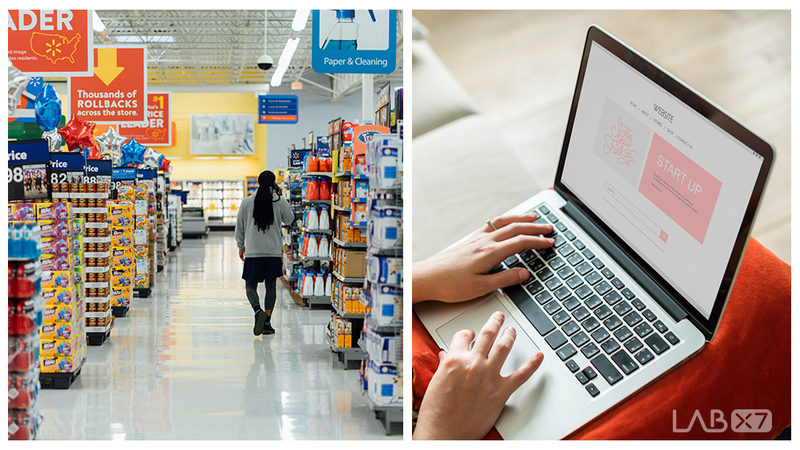 In this wave of new retail, there are issues that operators must explore: how to transform traditional offline stores, how to guide offline to the line, how to optimize products, and how to implement new retails. A few years ago, under the impact of the online store boom, a large number of physical stores have closed down, and now, the e-commerce giants have laid out the establishment of physical stores. Basing on the current situation, online shops and physical stores believe that the offline layout is still the focus. 2018’s sudden “unmanned supermarket” suddenly attracted the attention of countless people, especially the term “no one”, which is reminiscent of the trend of human machine intelligence replacing labor, and some people attribute it to “new retail”. Driven by results, the “fourth industrial revolution” started to sing hymns. Amazon launched the new concept store Amazon Go early last year, and Japanese media are also beginning to make a big “unmanned cash register system.” Why do we want to popularize “unmanned supermarkets”? Other than the “hurricane ignition” of technological development, controlling costs is probably the most convincing answer. According to statistics, even in developed countries, such as Europe, the United States, and Japan, the gross profit of the retail industry is only 15%-20%, of which labor costs account for about 12%. In order to save costs, liberate labor makes up for the shortage of labor. No one supermarket or unmanned convenience store expected these solutions. Although the labor cost of China’s retail industry only accounts for about 7%, alleviating the profit pressure caused by excessive employment costs has almost become a demand in every aspect of the retail industry. Behind the new retail concept, Nielsen and McKinsey gave a more practical answer. Nielsen said in the “2016 China Supermarket Shopper Trend Report” that as Chinese shoppers’, shopping habits matured and online shopping channels penetrated further. In fact, the penetration rate of convenience stores and online shopping increased from 32% and 19% respectively. To 38% and 35%, this trend has brought about the transformation of traditional hypermarkets and supermarkets. McKinsey has a similar view about the 2017 China Digital Consumer Research Redefining the Customer Experience in the New Retail Era. Though omnichannel has become the new normal, offline channels are still an important node for customer experience and sales transformation. For example, in the consumer electronics category, 93% of consumers will go online to research, and then go to the store experience; 96% of consumers will experience or purchase online. 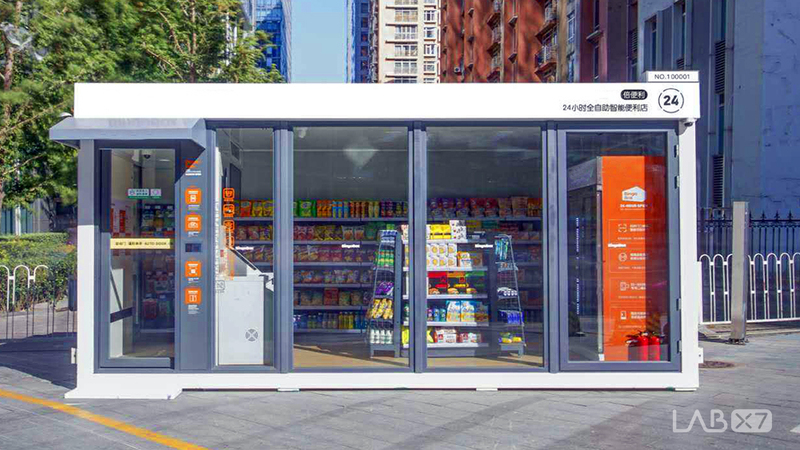 From this point of view, the unmanned supermarket is not used to replace offline retail stores, but to compensate for the offline experience of e-commerce. Users experience consumption in unmanned stores, then place orders through the e-commerce platform. They then use logistics to deliver to the users, which will open up a series of links and opportunities, such as e-commerce, logistics, and offline. 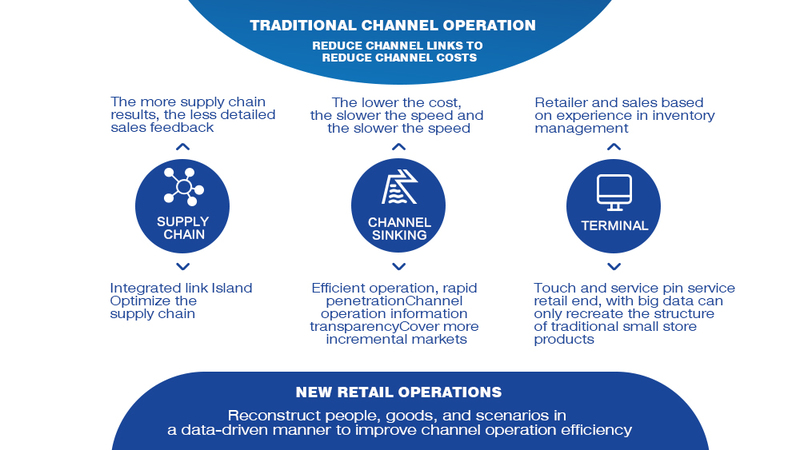 The essence of new retail is to eliminate the intermediate link, rather than simply reducing labor costs. Obviously, the original intention of the new retail does not suggest that the people who are not in the supermarket are happy. It’s basically replacing the labor force to occupy the offline realm in a new mode. Artificial intelligence and IoT technologies create new retail value, helping enterprises achieve “low cost, improve efficiency, and experience”. Every business change is bound to be accompanied by major technological innovations. New retail is no exception. In recent years, artificial intelligence and relevant technologies, such as vending machines, advanced identification devices, voice search, Internet of Things, big data, and sensing, have been continuously upgraded. They continue to generate and develop new business models. Wisdom stores are even said to be the key areas of various technology applications, and are referred to as the new retail “Gathering Dacheng”. 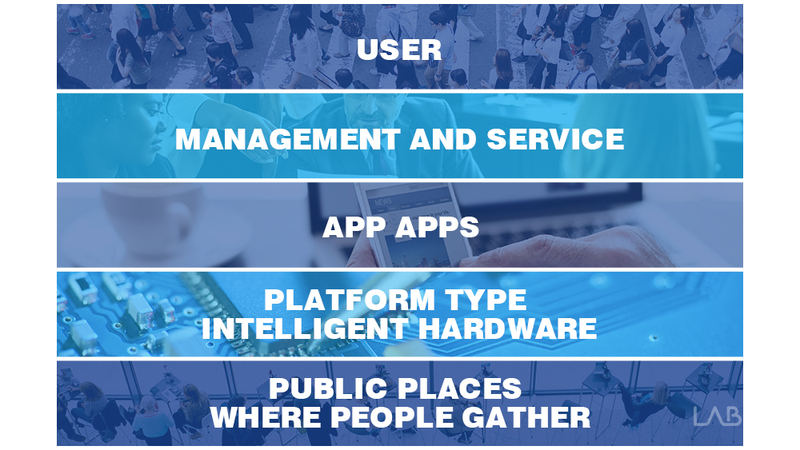 At present, artificial intelligence and IoT technology landing store applications include three primary types of application scenarios. First, artificial intelligence technology is equipped with IoT technology, and image recognition and face recognition are managed by the camera. For example, after installing a camera or other sensing equipment in the store, the image recognition technology is used to evaluate the passenger flow, and the store service personnel are instructed to make adjustments and feedbacks according to the heat distribution in time to improve operational efficiency and reduce the cost of the human patrol shop. The second scenario is the personalized recommendation of “Thousands of People”, which is based on the consumer’s historical consumption preferences for accurate recommendation. It aims to enhance the customer experience, which is both a means of precision marketing and can actually increase the volume. Third, the brand realizes highly data-based management of supply chain, inventory, and store products through RFID technology. Taking the clothing store as an example, RFID technology can accurately count how many times a piece of clothing has been picked up from the shelf and is brought into the fitting. How many times, how to sell the details, help the store to achieve the grasp of the single product line, efficient management of store display and group goods, accurate grasp of consumer interest.